There are four main climbing trails in Mt. Fuji and it is common to climb from the 5th Station. Each trail with individuality is connected to the summit. While your Japan travel itinerary before and after the climb may have a great influence over your choice of a climbing route, Fujisan Curator encourages you to challenge the trail you want to climb because this will be your commemorable first (and probably last) Mt. Fuji climbing. Experience you will have in climbing Mt. Fuji is different per each ascending and descending trail and route. For 2019 season, Fujisan Curator is offering free live webinar "2019 Mt. Fuji climbing guidance" each month starting January until June before the season begins in July. If you like more personal 1-on-1 discussion, you are also welcome to schedule a free session with me for personal tour planning and consultation. Varied landscapes on the eastern route. Ascend the luscious green trail and descend straight the 'Sunabashiri' volcanic gravel trail. Footsteps of the Crown Prince. Experience the majestic scale of Mt. Fuji through the stunning Hoei Crater. Pilgrimage in the sky. 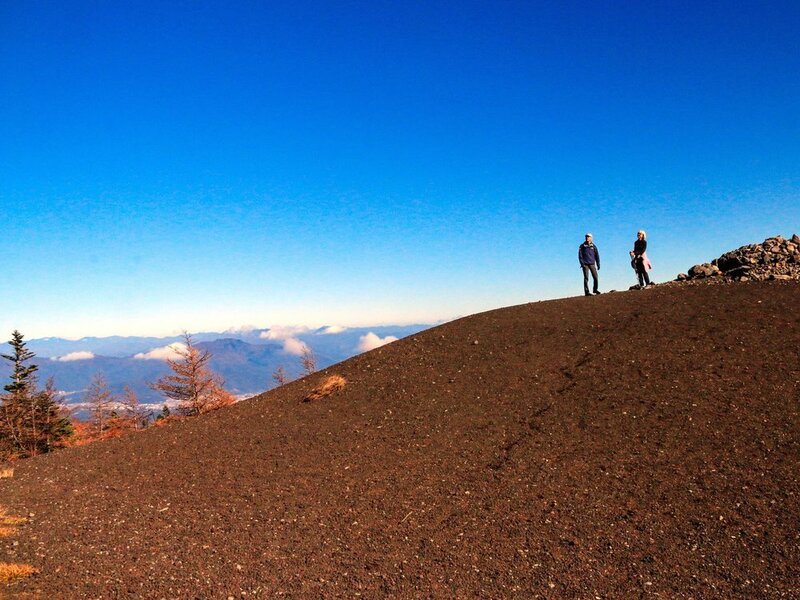 Trek around the sacred summit crater of Mt. Fuji while fully enjoying the majestic panorama. Alternative Mt. Fuji climbing. Follow the path of Fujiko pilgrims on Yoshidaguchi Trail, the historical climbing route filled with Mt. Fuji religious faith.